Mommys Offers Ads will appear on your screen when you install the Mommys Offers adware on your computer. You might say that you did not install this program, and you have no idea how come this application is on your system. But adware programs often manage to enter target computers in a way that they trick users into installing them. The most important thing is that now you know that you have an unwanted program on-board, and you need to remove it. Please scroll down to the bottom of this description for the manual removal instructions, and terminate Mommys Offers Ads for good. Now the program that is responsible for these annoying pop-ups has an official website. 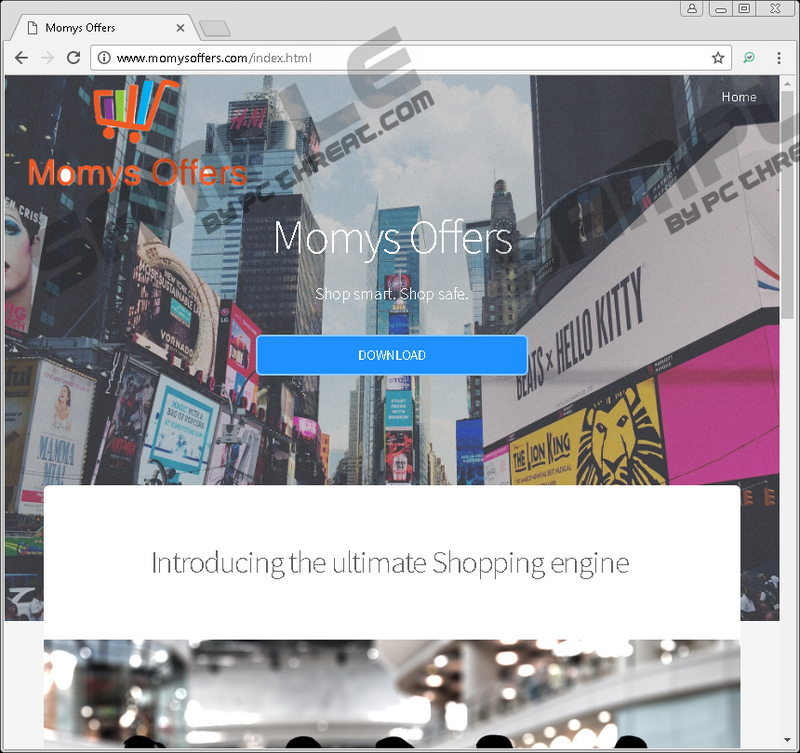 Our security experts indicate momysoffers.com as the official homepage for this application. Nevertheless, it does not seem like the site would have a direct download link. In other words, it is not like the users download the program directly and install it on their computers willingly. The official homepage is there only for the show, to make users think that they are dealing with a legitimate application if they ever decide to google this browser extension. Yet, just because a program has an official homepage, it does not mean the program is automatically reliable. Since there is no direct distribution source for this application, it means that it probably enters your computer bundled with freeware. Software packages are very commonly used in adware distribution. When users download freeware from file-sharing sites, those freeware programs usually come bundled with additional features likes search engines and browser extensions. The Mommys Offers Ads are displayed by an extension that gets added to your default browser automatically. Sometimes it is possible to avoid installing such extensions, but that would require the affected user to be extremely attentive during the installation process. If you happen to skip steps in the program setup just to be done with the installation, you will probably miss the chance to deselect the unwanted extensions and other features. As a result, programs like Mommys Offer will enter your computer, and you will be flooded with Mommys Offers Ads. At first, it might seem that the extension will try to provide you with the best online shopping offers, thus helping you save money while you shop around. However, the longer this adware app remains on your computer, the more intrusive it will become. It will display various deals and coupons whenever you access online stores. What’s more, the program will also change your default search engine to api-client.mobitech-search.xyz, thus redirecting you to a third-party search engine that might also be associated with various online marketing campaigns. This program is practically the same as TorpedoDeals and Finders Deals, so the same removal methods and the same risks can be applied to all the apps in the same family. The biggest security threat associated with such applications is the possibility of malicious third-party exploitation. You would not want cyber criminals to embed their content in Mommys Offers Ads because then every single advertisement you see could be a potential medium for malware distribution. Needless to say, adware programs do not enter computers to spread malware. They need to generate a financial profit, and they get paid whenever you click the ads they promote. The problem is that they do not check what kind of content or links are embedded in their ads, so anyone can make use of the advertising space they offer. Hence, it is not that the adware program wants to infect you with malware, but it could inadvertently become a tool used in a malicious scheme. Therefore, the sooner you remove Mommys Offers Ads, the better. You can delete the extension from your browser via the browser settings. After that, you should scan your computer with the SpyHunter free scanner to see if there are more unwanted applications installed. The chances are that you will have several other unwanted programs, and you will most definitely have to delete them, too. If you need help with that, or you want to find out more about computer security and how to ensure it, please contact us by dropping a comment below. Our team is always ready to assist you. Remove the program from Toolbars and extensions. Open the Extensions pane and delete the plugin. Click Extensions and delete the application. 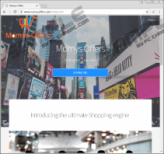 Quick & tested solution for Mommys Offers Ads removal.